The Scott County residents that didn’t have family members to care for them and did not have money would end up in the Poor Farm usually at the end of their lives. Indiana State law required all counties to have a Poor Farm. First there was a Poor Farm north of Lexington on Getty Road, but after the county seat was moved to Scottsburg in 1874, the poor farm was needed within a mile of the courthouse. 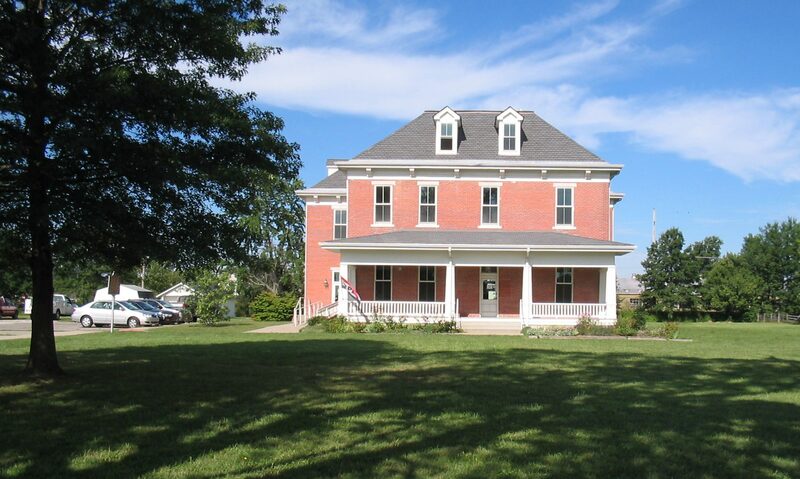 It was a frame building, but later replaced in 1892 with the present day brick building, which now houses The Scott County Heritage Center & Museum. The Poor Farm was a working farm and was self-sufficient. The county commissioners were in charge of seeing that the building was kept in decent shape for the residents. Each resident had a job to do on the farm. The Superintendent and his family lived in the front of the building and used the front stairs and the residents used the back of the building and the back stairs. The residents used the back door, also. Barney Hardy, Vevay Mace, Dock Miller died here. Mr. Miller died November, 1902. We are in the process of gathering more history of the Scott County Poor Farm. If you have any information to share about the Poor Farm, call us at 812.752.1050 or email: contact@schcam.org or just stop by and tell us what you have!